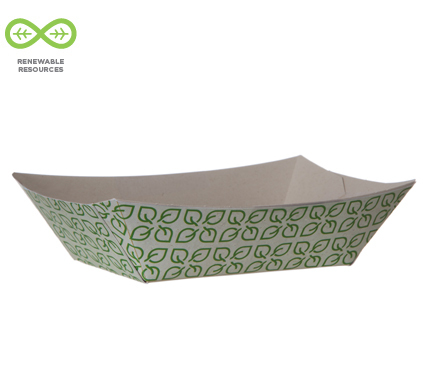 Made from 70% post-consumer recycled content clay-coated paperboard, these food trays are the do-it-aller when it comes to serving up favorite meals. Whether you're tossing up some chili fries or dishing out your signature nachos, they are sure to keep food from jumping overboard. Sturdy, resilient to grease and cuts, and freezer safe, these trays will keep food junkies happy. Dimensions: 6.5 x 4.375 x 1.5 in. Dimensions: 9½ x 6 3/8 x 2 1/8 in.